Start taking classes at Trim Fitness Studio and other studios! 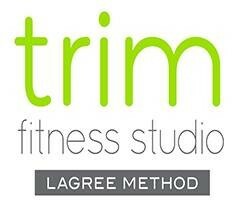 At Trim Fitness Studio we believe in the science of The Lagree Fitness Method. We have seen thousands of our members achieve results that have helped to strengthen not only the body, but also the mind. Our focus is to teach the Lagree Fitness Method the way it was designed to be taught by Sebastien Lagree. Our instructors consistently teach an intense, effective and safe workout on the Megaformer. The Lagree Fitness Method is taught on an exclusive technology developed by fitness visionary, Sebastien Lagree. At Trim Fitness Studio, you can expect 45-minutes of heart-pumping music, muscle-quivering, and total body strengthening, lengthening and toning in an encouraging small-group setting. Our classes are largely based on the holistic principles of Pilates, but also emphasize the strength training and cardio elements found in other forms of exercise. Using the method developed by Sebastien Lagree and state of the art Megaformers™, Trim Fitness Studio in Lake Forest provides a unique exercise regimen. Grip Socks must be worn during class!! Please Bring Grip Socks. Grip Socks are required to take class. Please arrive 10 min early to your first session. If you are unable to arrive 10 min before your first session please reschedule to a later date. Grip socks are available for purchase at the studio for $18. Love the flow and intensity of Kimberly’s class. Dana was amazing! full of energy! Tough class with good energy. My legs were shaking afterwards! The class was super intense but not intimidating at all. Laleanne makes sure your form is correct and that you’re getting all the right muscles worked. She keeps you engaged and you don’t even realize the time flies by. I loved it!